You may be wondering, what IS a Trim Healthy Mama Fuel Cycle? 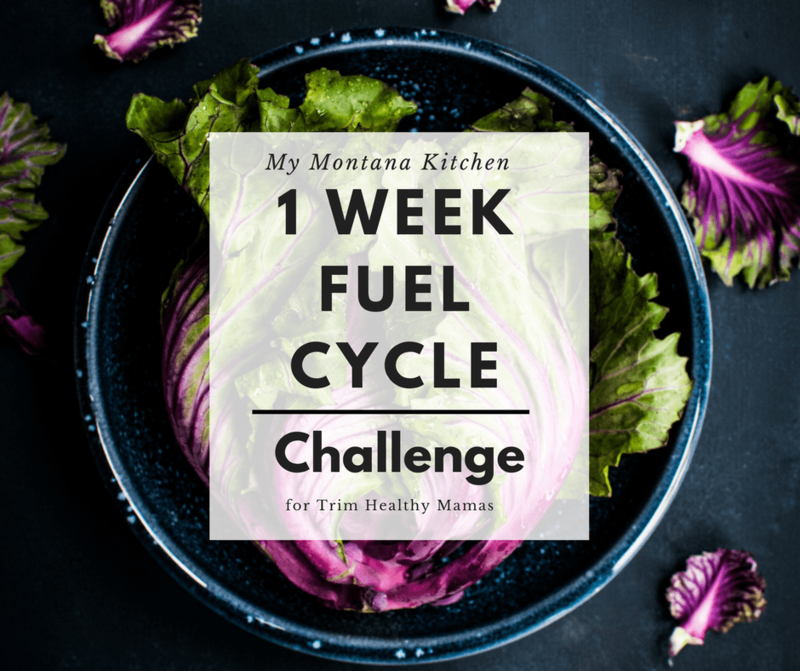 The Fuel Cycle is explained in Chapter 24 of the Trim Healthy Mama Plan Book. I would suggest that you read it thoroughly before we begin! Who is a Fuel Cycle For? Basically, a Fuel Cycle is a tool used to help you get past a stall or as an occasional kick-in-the-pants to your weight loss if you are a turtle loser. Who Should NOT do a Fuel Cycle? A THM Fuel Cycle is NOT intended for someone who is just beginning THM, or for nursing women. 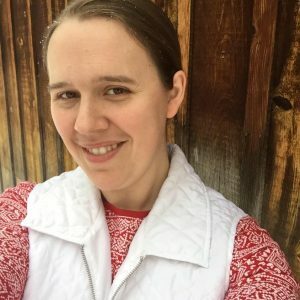 You should have been following the Trim Healthy Mama plan for quite some time (3 months, minimum) before attempting a Fuel Cycle. They are much more strict, (and I cannot promise it will be fun), but they help us to focus on the different fuel types, as well as guide us away from all those heavy S treats – cream cheese, heavy cream, etc. Grab your Ultimate October Challenge Companion Guide here! Secondly, check out the menu below and stock up on lots of leafy greens (my favorite is kale), okra, coconut oil, olive oil, and non-starchy vegetables. If you have not signed up already, you can join our challenge by commenting on my Facebook post here. Simply comment on the FB post, and I will be in touch with you through FB messenger with more information on our challenge! When do we begin? We are planning to start on Monday, October 1 and the challenge will run for one week. I will be in touch every day with tips, recipes, ideas, and perhaps even photos of what I am eating! I think this will be great fun! Get all the other helpful printables here! Lunch: Baked Sweet Potato stuffed with chicken and spices, side salad spritzed with 1 teaspoon MCT oil. Also, . 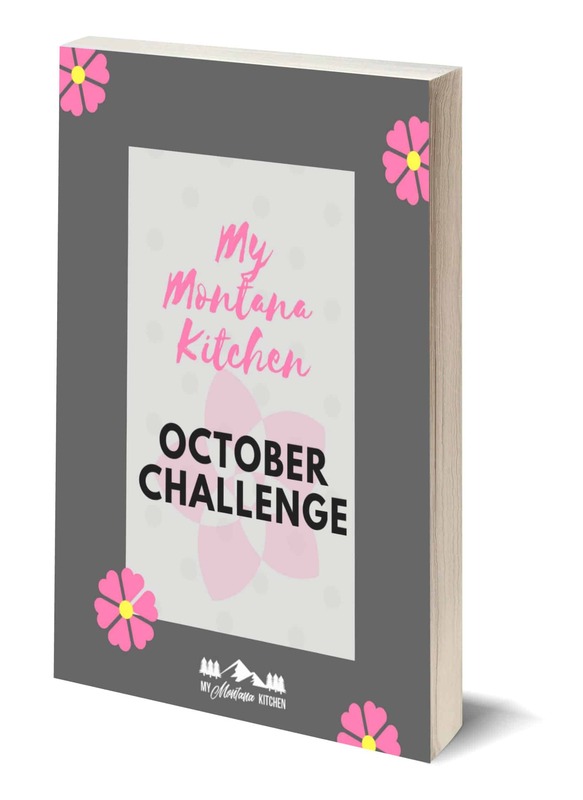 . . there is something brand new for this challenge that I have never done before! I have had a lot of people ask with previous challenges for printable shopping lists, menu charts, and printable recipes. So this time – I have it all ready! The Complete October Challenge Companion Guide! An almost 30 page PDF file that is filled with extra ideas, a full printable menu, a full, comprehensive shopping list, and every single recipe that is listed in the menu above. This will make the challenge such a breeze! Simply print off your PDF, place it in a pretty binder, and you are ready to go! No looking up every recipe when you are cooking. Simply open your folder, and there it is! Get your extra printables here! I can’t wait to do this with you! Where do I sign up to be in the challenge?